And put a heavy trigger for the mine under the same object. 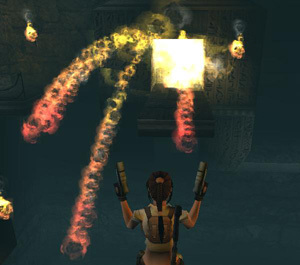 Set a regular trigger for the grenade on the same square. 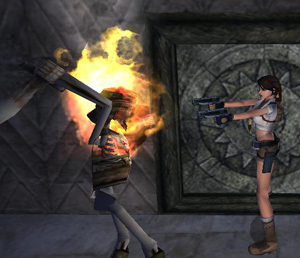 The pot explodes in a blaze when broken; the mine sets off the grenade which causes a shockwave effect that will hurt or even kill Lara when she is too close to it. 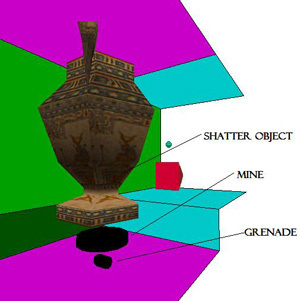 Note, if the shatter object is narrow at its base it might be advisable to either set the object as invisible, or retexture the mine with all transparent textures, that way it can't be seen and the effect looks natural like in Forgotten Scribe where its explained that the pots are full of oil and therefore flammable. Egyptian tombs don't generally have 21st century mines in them after all! The skeleton object (or any other animating object). 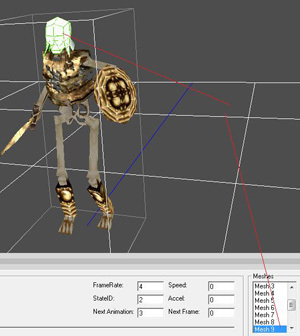 To set this effect simply place the skeleton object as normal and set the trigger wherever you want it. 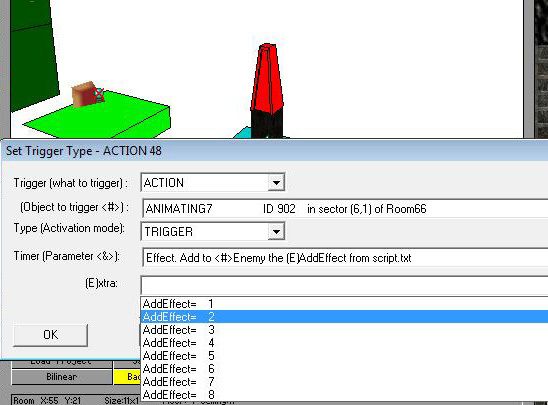 To set this effect place a trigger for the animating object. To make the flame rotate, again select your animating object and set the action trigger (Turn <#>ANIMATING moving endless in (E) way) and set it to turn clockwise fastly. 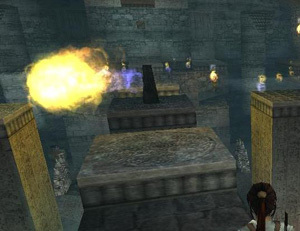 Place this trigger on the same square as the other triggers and you will see in game that the animating rotates with the flame coming out of it.